On August 18 at 11:30 p.m., officers responded to Charles Regional Medical Center for an assault. 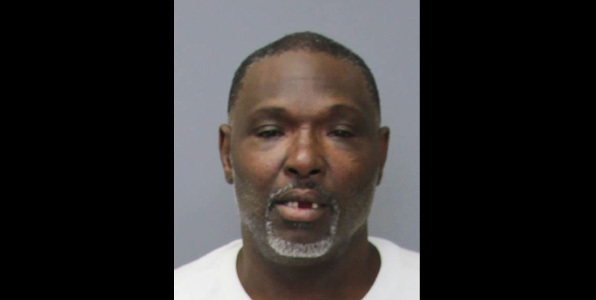 The victim reported her former boyfriend, Russell James Holton, 56, of Severn, MD, had just confronted her in the Newburg area as she was sitting in her car. Holton struck her vehicle with a baseball bat and demanded she exit the car. When she refused, Holton tried to open the car door. The victim fled, but Holton followed in his van. Holton tried to force the victim off the roadway and struck her car from behind several times. When the victim reached an area where she could no longer drive, Holton jumped out of his van and smashed the victim’s car window. He pulled her from her car and struck her several times with the bat. The victim lost consciousness; and when she awakened, she was in Holton’s van. Holton was about to strike the victim again when passersby intervened. Holton fled the scene and the victim was transported to the hospital. Officers obtained an arrest warrant. Holton was subsequently located in King George, VA; officers found him hiding in a closet. Once Holton is extradited to Maryland, he will be charged with first-degree assault and other related charges. Cpl. P.M. Anderson investigated.